Hailing from Dubuque, Iowa, Michael and his family have owned and operated The Food Store since 1983. Dubuque's Farmers' Market occurs every Saturday this Summer right on Iowa street! On Saturday mornings from 8am-noon you can enjoy live music and outdoor seating in the shade. We also have egg rolls ($2! so good! ), quiches, baked goods & incredible fresh smoothies made with all organic fruit & fruit juices ($5/16oz!). 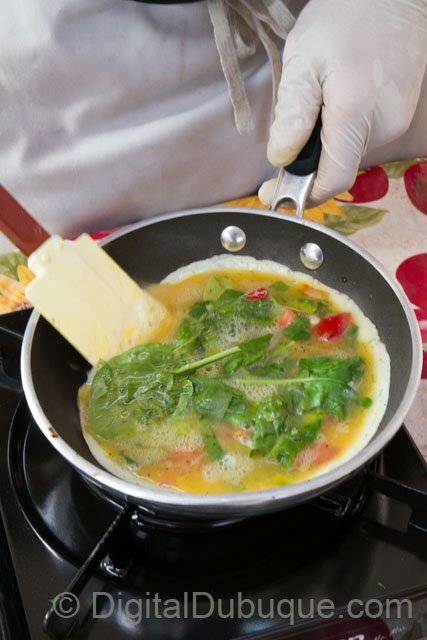 Enjoy incredible breakfast omelettes made right in front of you!